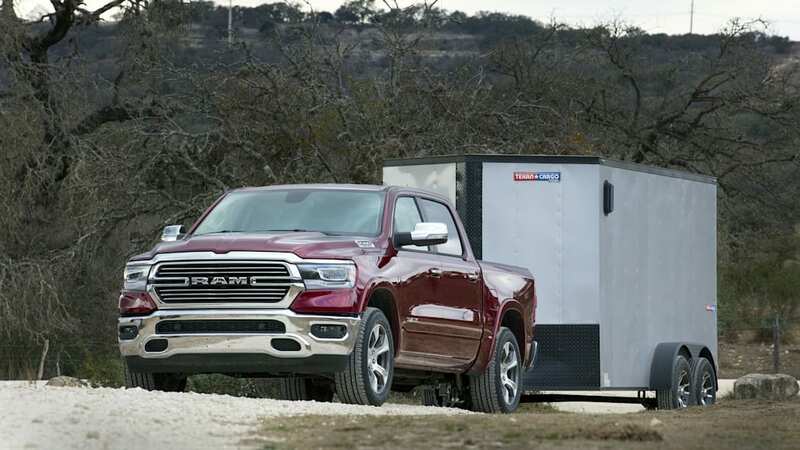 Misinformation is already being passed around about the 2019 Ram 1500 eTorque – reports calling the new electrified version of the full-size half-ton pickup truck a hybrid and saying its eTorque system adds torque to the truck's engine increasing payload, towing capacity, and performance. Don't believe a word of it – this isn't a hybrid in the conventional sense of the word. eTorque does not increase the truck's power or capability. Instead, the system feeds in some electric torque at low RPM, which helps with fuel efficiency by spinning up the engine during start/stop operation, smoothing gearchanges, and harvesting some energy from braking – that's basically it. 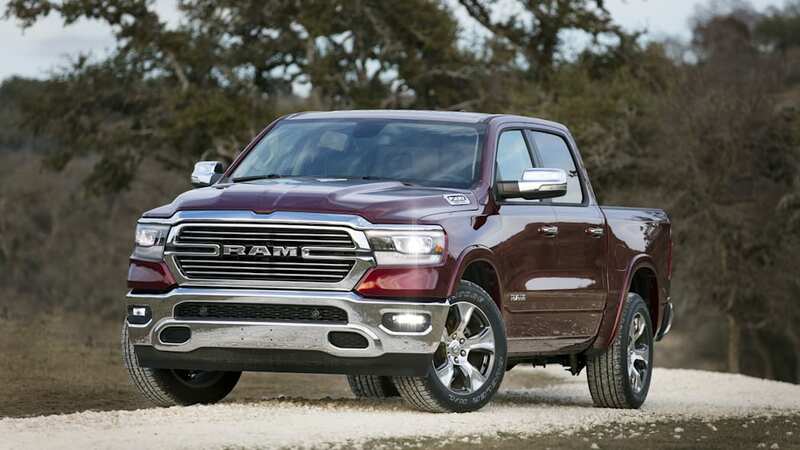 Ram is partially to blame for the hybrid confusion. 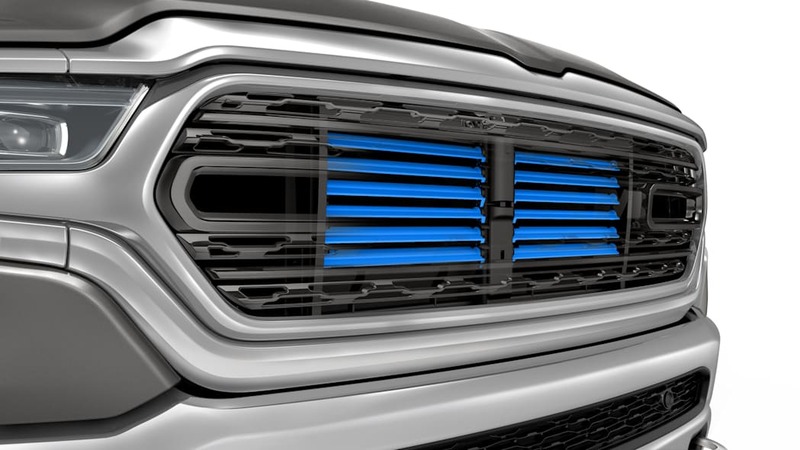 Although the "h"-word does not appear anywhere on the truck or the vehicle's window sticker, the automaker has chosen to call eTorque a "mild-hybrid system", which implies that it might be able to propel the truck on electric power. 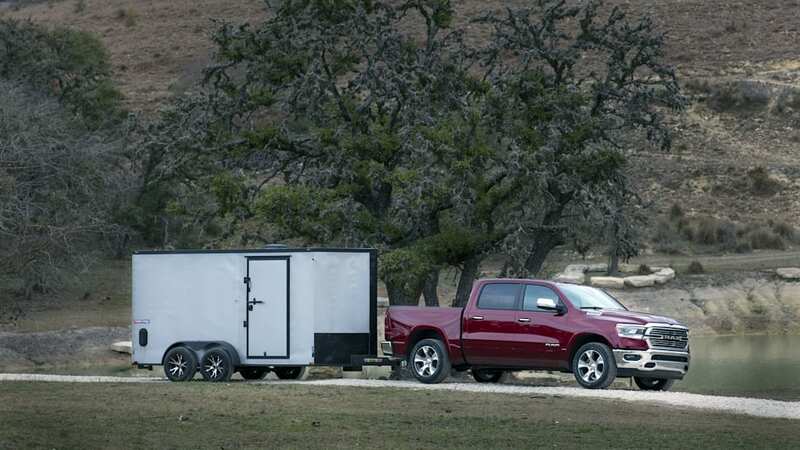 But the Ram's small battery pack and single electric motor cannot – it's more similar to the original GM Parallel Hybrid Truck system than the later two-motor, two-mode hybrid system circa 2009. Also, eTorque applies power to the engine and the wheels briefly at very low engine speeds and during gear changes. These applications of power only last for fractions of a second at any given time, some as quick as the blink of an eye. 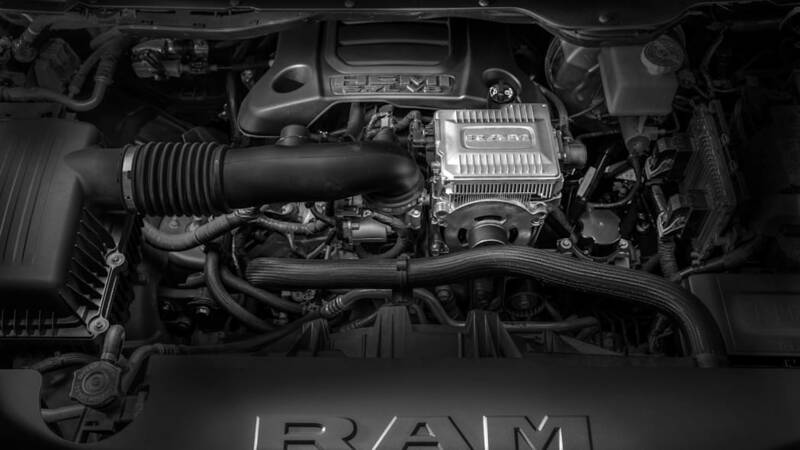 So it's a labeling fiasco, but Ram's explanation of the eTorque system's operation and its benefits, which are significant, can also be perplexing. And the resulting discombobulation is unfortunate, because eTorque is clever, and it really does work. 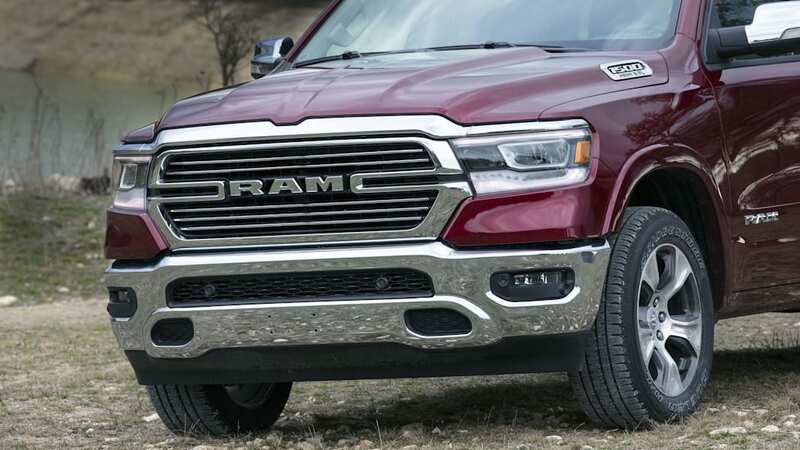 Earlier this week we drove two Rams with the system, one a V6 and one a Hemi, through Kentucky horse country, and came away impressed by its measurable contributions to the truck's fuel efficiency, drivability and smooth operation. 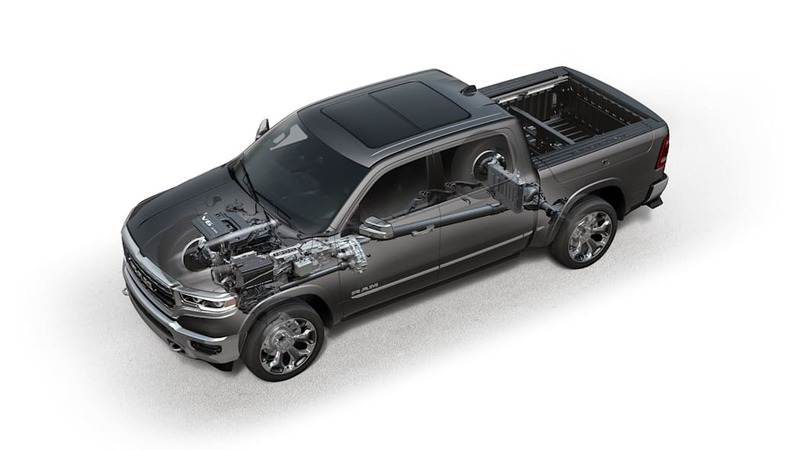 We also interviewed Mike Raymond, the Chief Engineer on the Ram 1500, and Brian Spohn, Ram's Vehicle Electrification Manager, Powertrain Engineering, to better understand what it is and how it functions. 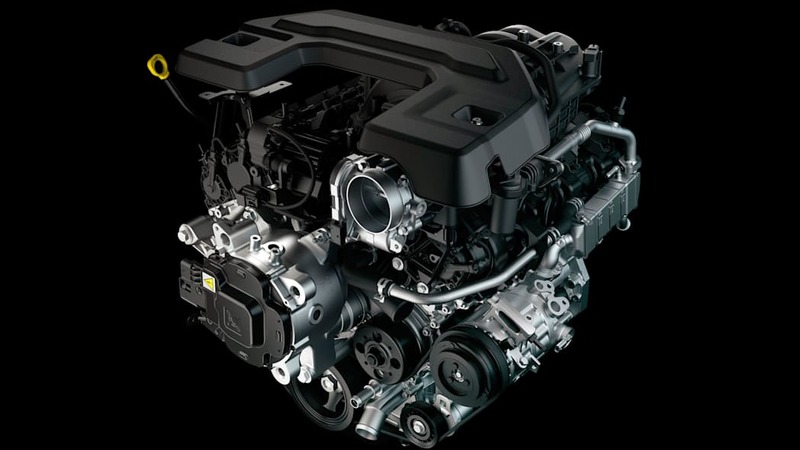 Ram will offer the 3.6-liter 24-valve V6 with eTorque as the standard engine in most models. The V6 will not be available without eTorque, although we'd be surprised if it wasn't added to the menu at a later date. 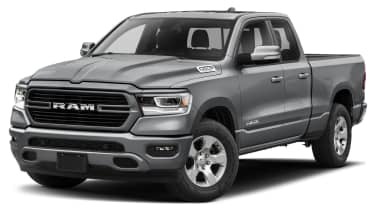 The 5.7-liter Hemi V8, which is the truck's most popular engine, will remain optional without the eTorque system for $1,195, and the eTorque version of the Hemi will cost $1,450 on top of that. eTorque replaces the engine's alternator with a small, 10-hp electric motor that's belt-driven off the engine's crankshaft. 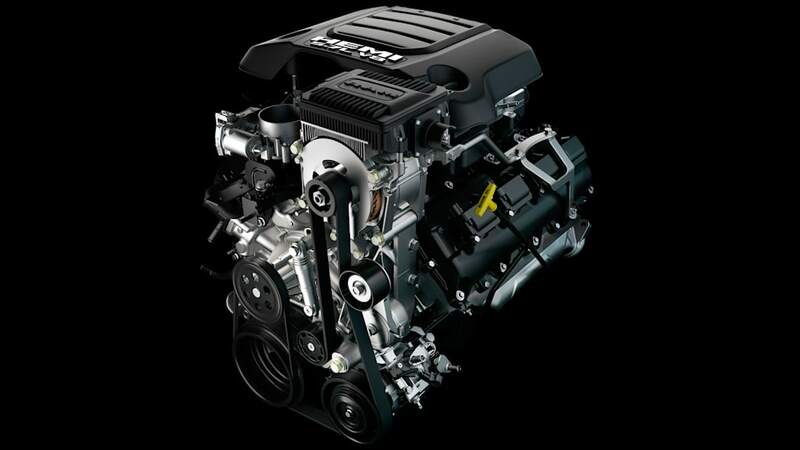 On the V6, the motor is water-cooled and part of the water pump assembly, while the unit on the V8 is air-cooled and spun with a unique belt drive separate from the other accessories. Mounted upright behind the rear seat inside the cabin is the Power Pack Unit, which is about the size of a briefcase. It's basically a tiny 48-volt lithium-ion Nickel Manganese Cobalt (NMC)-Graphite battery pack with a 3-kilowatt DC-to-DC converter to maintain the battery's charge and convert 48 volts to 12 volts to power the truck's accessories for up to 10 minutes. Like an alternator, it also charges the truck's conventional 12-volt lead-acid battery. With all the wiring, the system adds 90 lbs to a V8 Ram and 105 lbs to a V6 truck. This year the V6 gets a higher 11.3:1 compression ratio, up from 10.2:1, and cams with more exhaust valve lift. It's rated 305 hp at 6400 rpm and 269 lb-ft of torque at 4800 rpm. 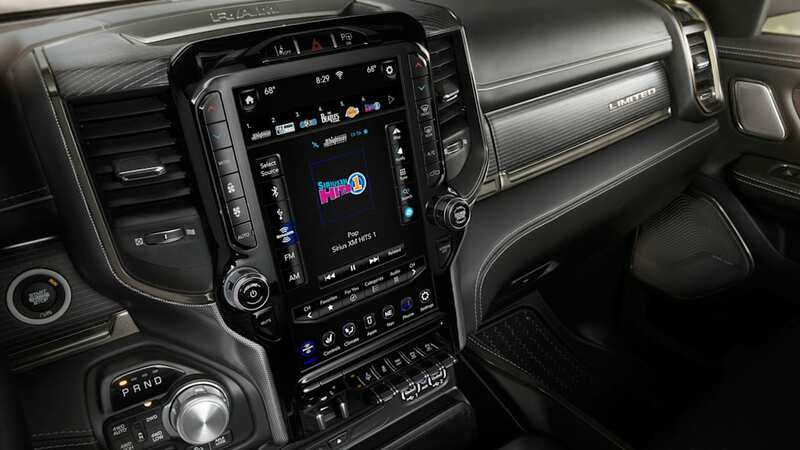 The Hemi is rated 395 hp at 5600 rpm and 410 ft-lbs of torque at 3950 rpm. 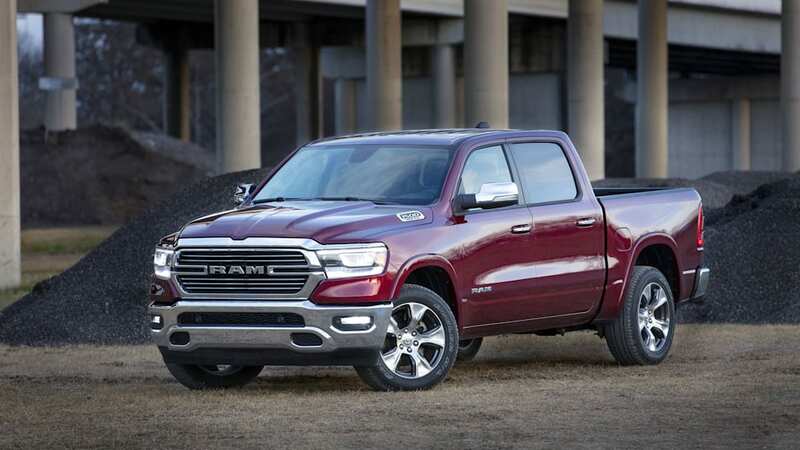 Ram doesn't help the confusion, at one point stating in the supporting materials that the "eTorque adds up to 90 lb.-ft. of torque to the 3.6-liter Pentastar V6 and up to 130 lb.-ft. to the 5.7-liter HEMI V8". This is a little misleading; The engines power ratings remain the same with or without the eTorque system, and the system doesn't affect the truck's payload and tow ratings. Torque is used to smooth the engine's start/stop function and spin the engine for a very brief time at very low engine speeds to improve efficiency and smooth operation. According to Spohn, "The eAssist is not additional power, it's substitution, it's not on top of the engine's output, it's before." The electric motor is just taking some work off the gas engine's plate when it's just restarting or just coming off idle – a supplement at low speeds, not an enhancement overall. For restarting the engine, by 800 rpm, the electric motor's work is done. Spohn says it takes just 400 milliseconds, or less than half a second, before the eTorque system has primed the truck's engine or "staged it for motion" and completed what he calls the "electric to combustion handshake", which is when the motor and engine overlap for the first half-rotation of the truck's wheels, about 145 milliseconds. From that point forward the internal combustion engine is fully functional and powering the vehicle down the road. Because eTorque can manipulate the engine's speed of rotation, it's also used to adjust its RPM slightly during gear changes to smooth those transitions. And there is regenerative braking, to keep the small battery pack charged. But there's so little battery capacity, it doesn't take much to keep them topped off and the system is completely transparent to the driver. Fuel economy is the eTorque system's largest benefit. With eTorque the V8 is rated 17 mpg city and 22 mpg on the highway. That's a 2 mpg increase in the city over the engine without the system, and Raymond says the truck has a range over 750 miles. 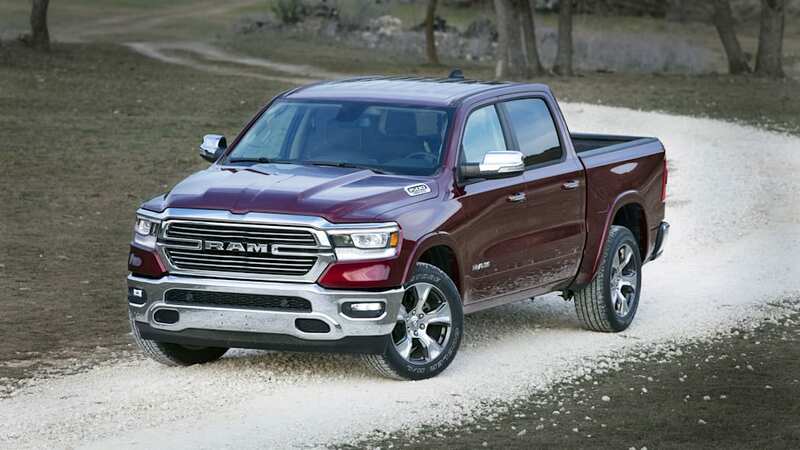 The EPA ratings aren't finalized yet on the V6, but Ram expects a 2-3 mpg improvement in both the city and the highway ratings over last year's V6 model, which was rated 18 mpg city and 25 mpg highway. If true, it'll put the Ram V6 ahead of Ford's 290 hp 3.3-liter V6 in both power and fuel economy, and make it as efficient at Ford's 2.7-liter EcoBoost engine. Raymond also says it will have over 600 miles of range with the standard gas tank and over 800 miles with the optional larger unit. 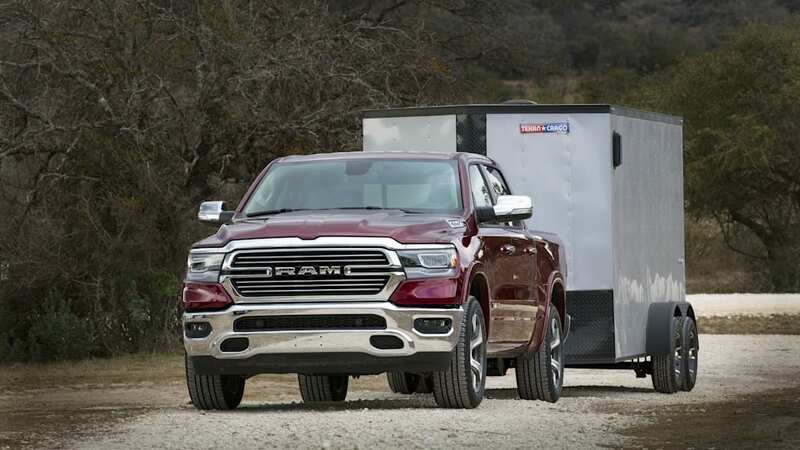 eTorque contributes to these efficiency improvements in combination with other systems new to the 2019 Ram, including grille shutters, an active front air dam, improved aerodynamics and weight saving. 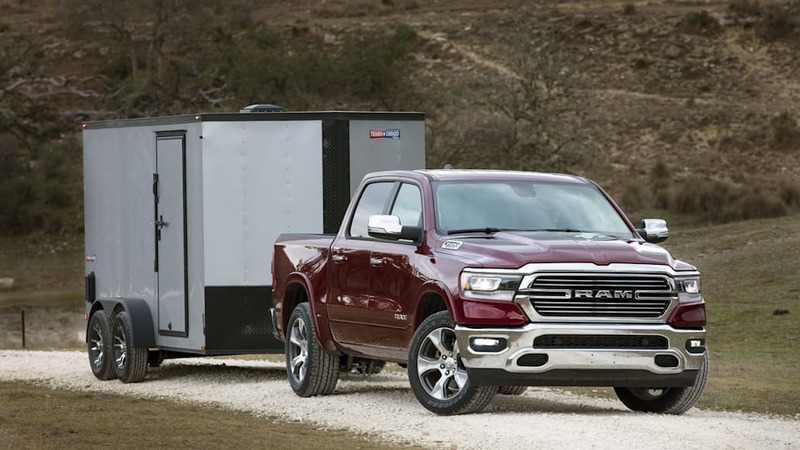 The new body and frame are significantly lighter and for the first time the Ram has an aluminum tailgate, which shaves 15 lbs from the truck. The parameters of the V8's cylinder deactivation system have also been broadened and its operation has been refined. From the driver's seat the eTorque system is completely invisible to the driver. There's no additional noise. No feeling of drag on the engine. Response feels completely natural. 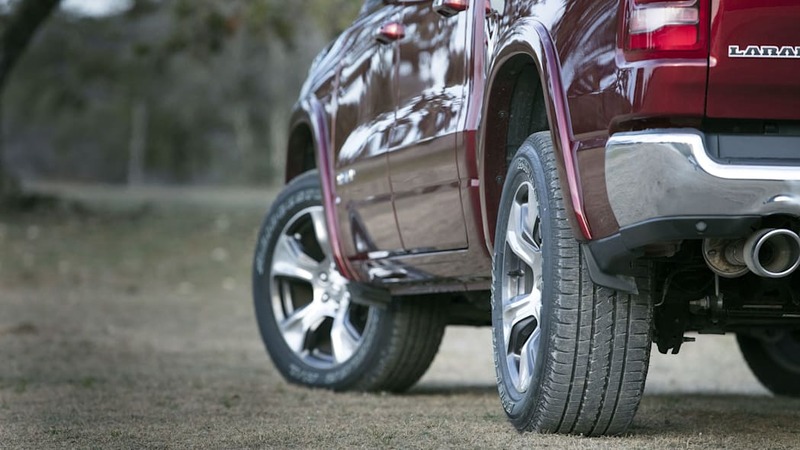 The Ram's start/stop function is so smooth and quick to respond it's easy to miss its action. It can be deactivated with a button on the dashboard, but you won't need it. Although we prefer the additional power and torque of the Hemi, as well as its rumble, the V6 eTorque is an impressive combination with good power. 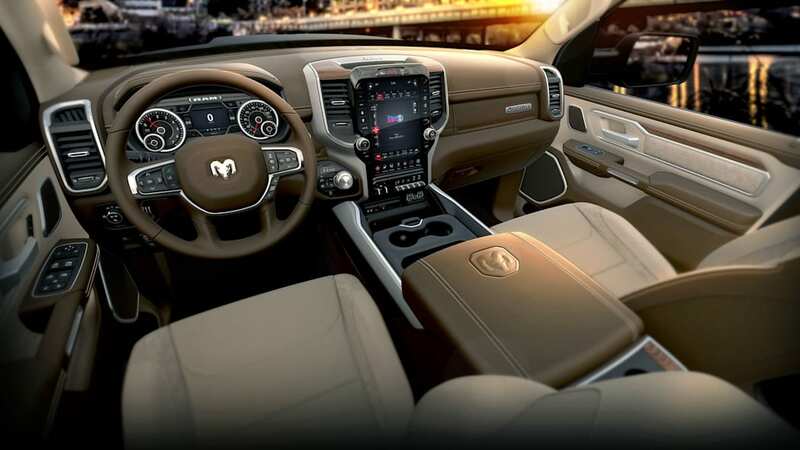 And the gear changes from its unique 8-speed automatic transmission, which was designed by ZF but built and tuned by FCA specifically for the Pentastar V6, could not be smoother. Shifts from the V8's ZF 8-speed are also silken, and tighten up nicely at full throttle. Gear ratios are tuned perfectly and neither transmission makes you beg for a downshift. Unfortunately the manual shift buttons on the truck's steering wheel seem like an afterthought and shifting with our right thumb is not our first choice. Although the Ram does match revs on the downshifts, response is slow and the gear readout on the instrument cluster is miniscule. 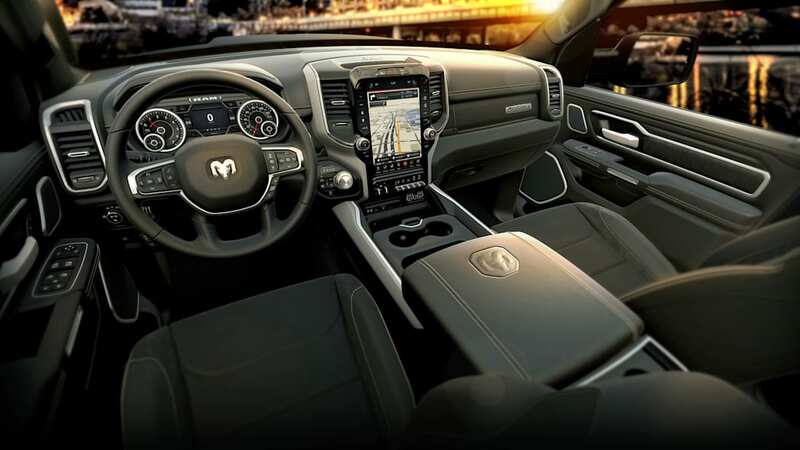 Thanks to the addition of a new telescopic steering wheel, the new Ram is more comfortable than before, and its stiffer frame, retuned suspension and more immediate steering, which has gone from a 17.9:1 to a much quicker 16.4:1 ratio, has really improved the truck's athleticism. The rear coil spring suspension remains and the ride is still exceptionally compliant, but body control is better than before and there's less body roll in corners. And its quieter too, with just a hint of wind noise around it big tow package mirrors at 80 mph. 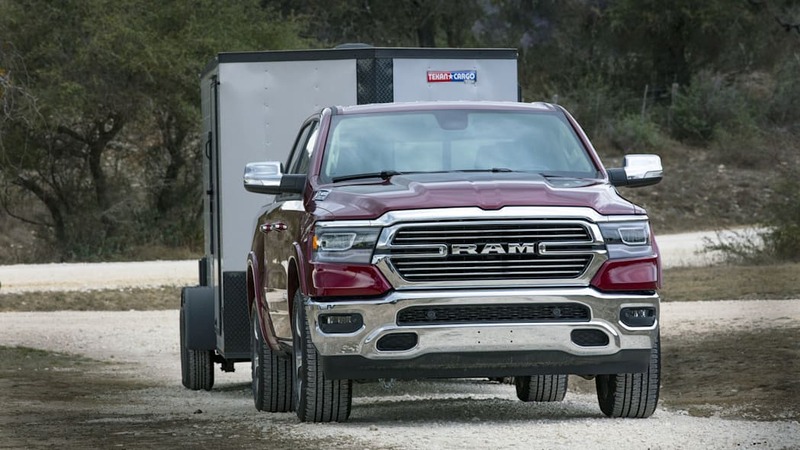 A new Ecodiesel V6 is also on the way, and Ram will show its new Heavy Duty line at the Detroit Auto Show in January, which we hope includes a new Power Wagon. In the meantime, it has just enjoyed its best sales month ever since becoming its own brand in 2009. 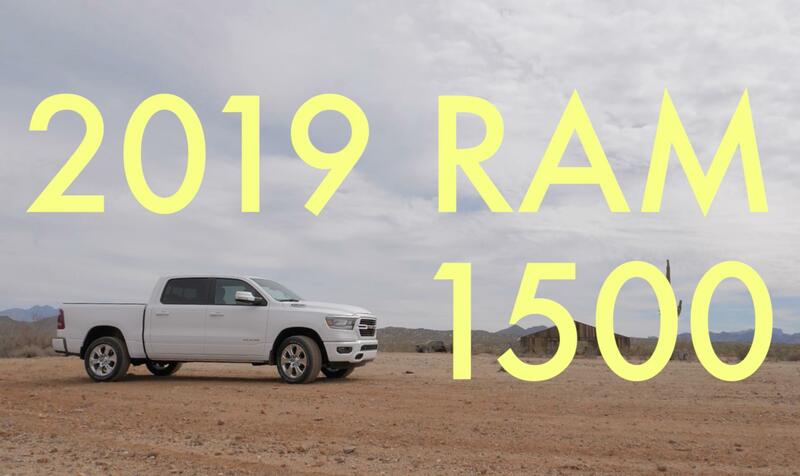 In July Ram sold 45,065 trucks, a number no doubt fueled by the new 2019 model, but also the simultaneous unloading of the last 2018s. 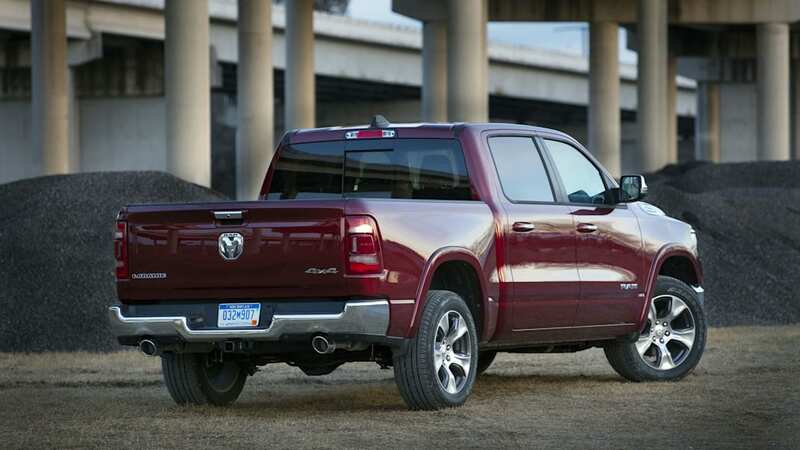 More impressive, however, is the Ram's loyalty numbers, which lead the light-duty pickup class, as well as all passenger cars. It would appear Ram is on a roll. 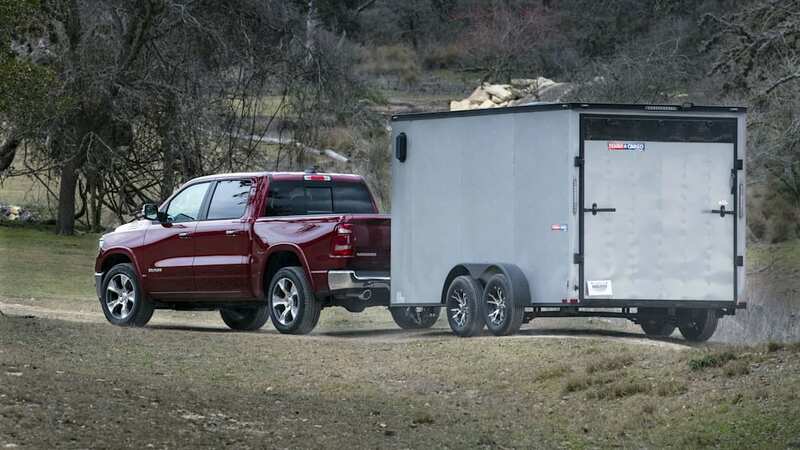 But the truck wars are just heating up and the all-new 2019 Chevy Silverado and GMC Sierra are about to fire back. Note: This article has been updated to expand on and clarify some details about GM hybrid truck powertrains.